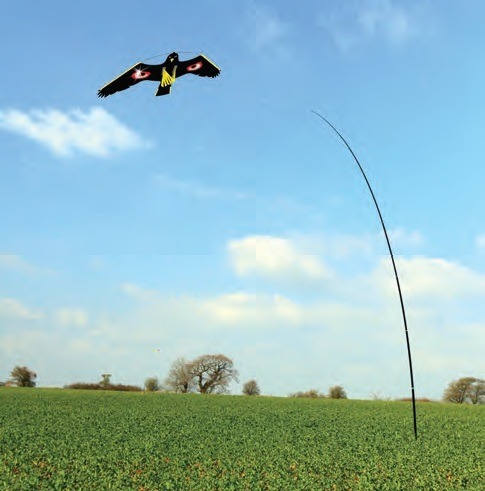 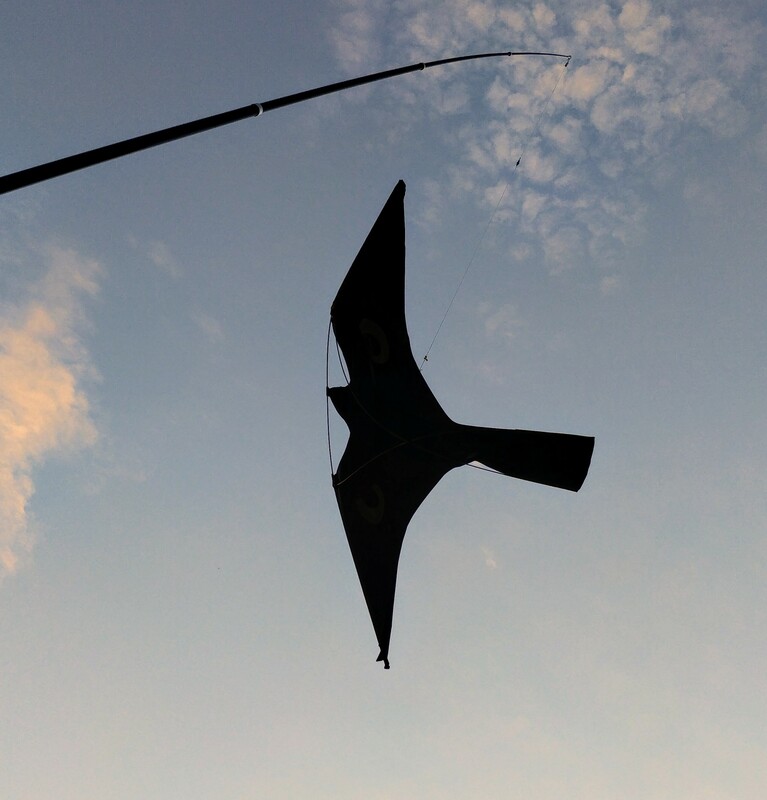 This is kite bird scarer which is attached to a 7 meter long rod. 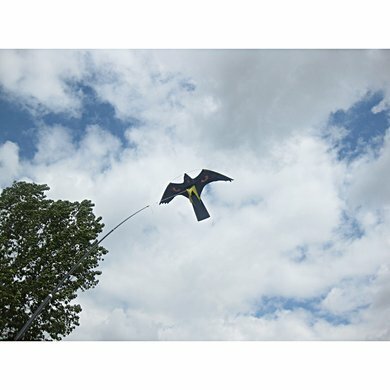 Also works well with very low wind speeds. 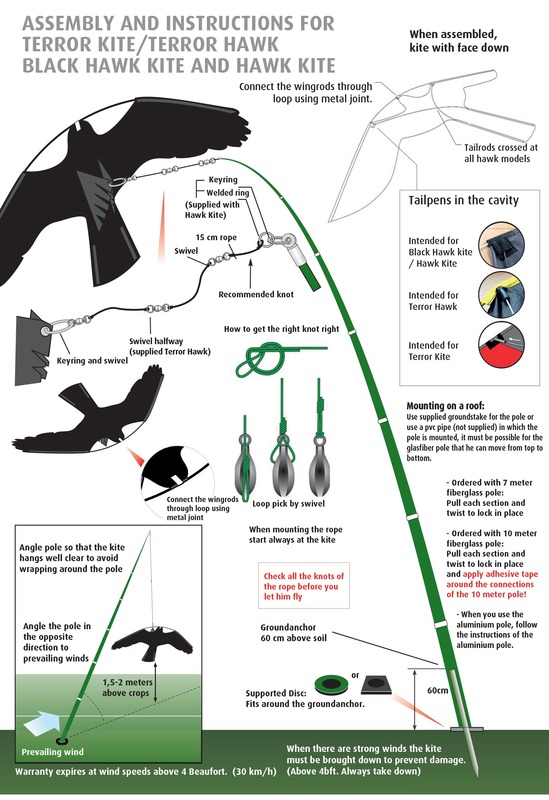 It mainly works for scaring the smaller birds, but it could also be used as seagull scarer as well. 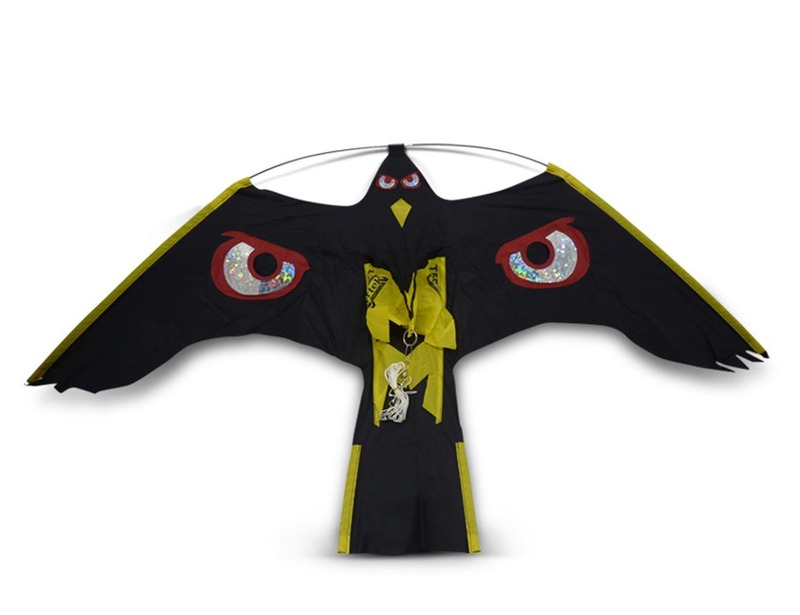 Your kite bird scarer looks real so it scares all birds including Crows, Corellas, Starlings, Jays, Parrots and Bulbuls.